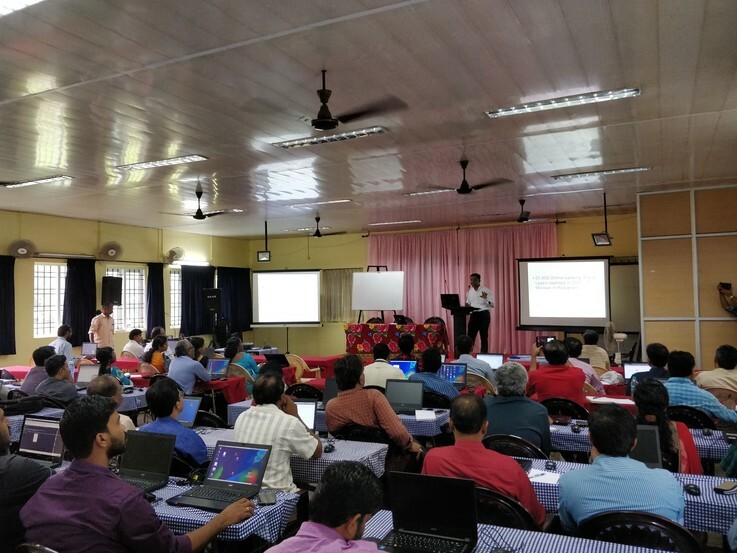 From 17 July 2018 to 20 July 2018, SFLC.in conducted four Digital Security Trainings at Kerala, including two full-day workshops for Master Trainers from KITE (Kerala Infrastructure and Technology for Education), a training Lawyers at Kerala High Court Advocate Association (KHCAA), and a training for students and teachers at Adi Shankara Institute of Engineering and Technology. The workshops for Master Trainers from KITE (Kerala Infrastructure and Technology for Education) were conducted at their Regional Resource Centre, Edappaly on 17 and 18 July 2018. Approximately 170 people were trained over a course of two days. Prasanth initiated the workshop by giving the participants an overview of the current state of surveillance, censorship, cyber-security and cyber-attacks. He also spoke about legal aspects of privacy and security in India. Thereafter, Sukarn and Shashikanth discussed threats to privacy on social media networks and effective methods to protect privacy. They demonstrated how online user tracking is performed by companies for building digital profiles which are then used to target ads. During the training they said "This data, if misused can cause a lot of harm. Users need to think and know how their data is going to be handled before sharing their information online. Think twice before sharing any sensitive information. Pay attention to whether website connection is secure and whether it's necessary to share that information." 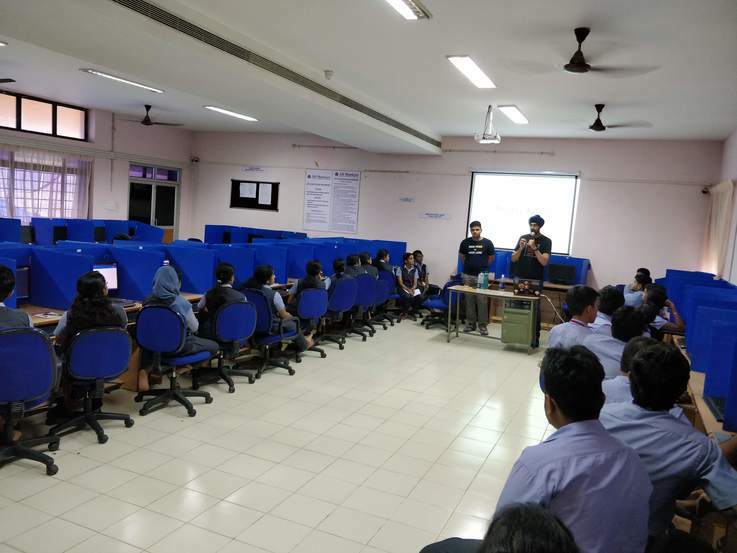 Participants were taken through installing addons on Firefox which protects them from user-tracking followed by a demonstration of Tor Browser which helps them browse the internet anonymously. Signal, a free and open source (FOSS) secure chat application and Jitsi, a FOSS tool for video conferencing were introduced. setting up and using email encryption through Enigmail, an addon for Thunderbird. 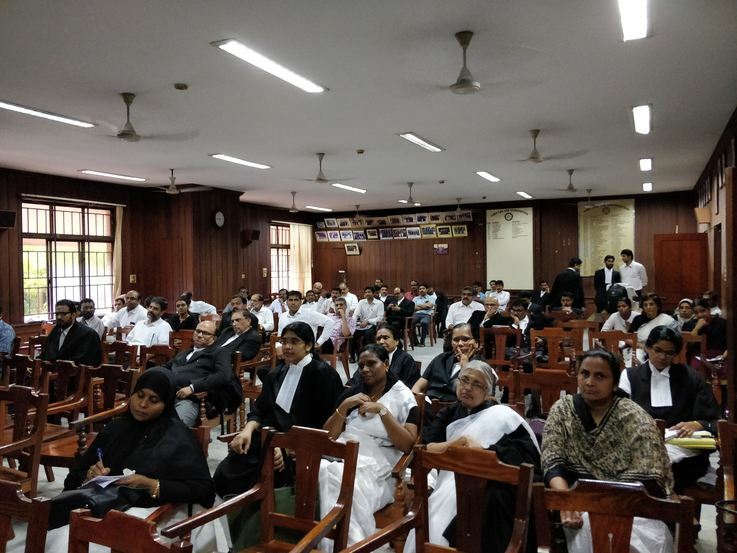 SFLC.in conducted a 1 hour and 30 minutes Digital Security Training for Lawyers at Kerala High Court Advocate Association (KHCAA). Approximately 70 lawyers were trained. Prasanth initiated the workshop by giving an overview of legal aspects of privacy and security in India, updates regarding the expert committee on data protection. Sukarn discussed the security threats faced by individuals and also the measures that can be taken to protect data. He said, "Using secure passwords is the easiest and one of the most effective prevention of unintended access of your data." He spoke about how to prevent malware infections, protect privacy while browsing online and conduct secure communication. SFLC.in conducted a 2 hour Digital Security Training workshop for students from Adi Shankara Institute of Engineering and Technology, Kalady, Kerala. 32 people participated in the training. Sukarn and Shashikanth discussed threats to privacy on social media networks and effective methods to protect privacy. They demonstrated how online user tracking is performed by companies for building digital profiles which are then used to target ads. During the training they said "This data, if misused can cause a lot of harm. Users need to think and know how their data is going to be handled before sharing their information online. Think twice before sharing any sensitive information. Pay attention to whether website connection is secure and whether it's necessary to share that information." On 20th Sept 2018, we conducted a Digital Security Training for Law Students at Amity Law School, Gwalior. Haiyya organised a Haiyya Camp, ‘Post.